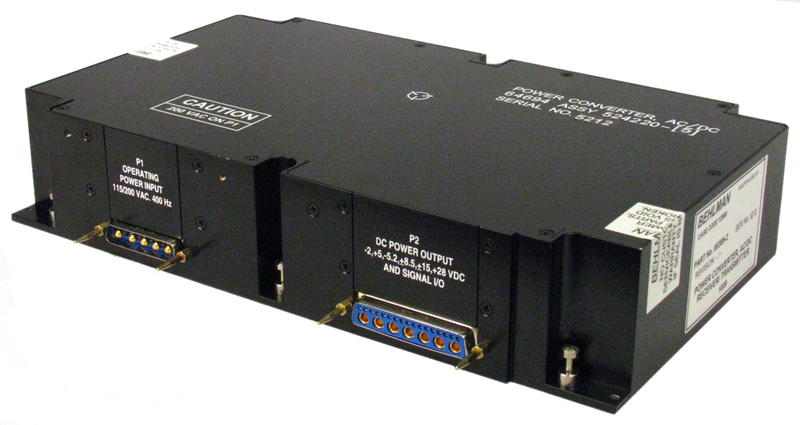 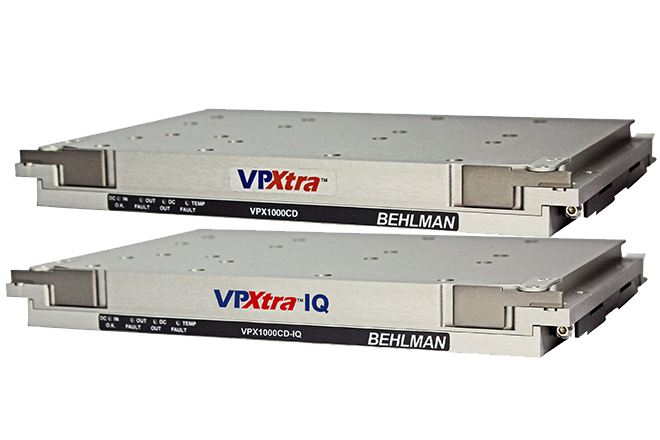 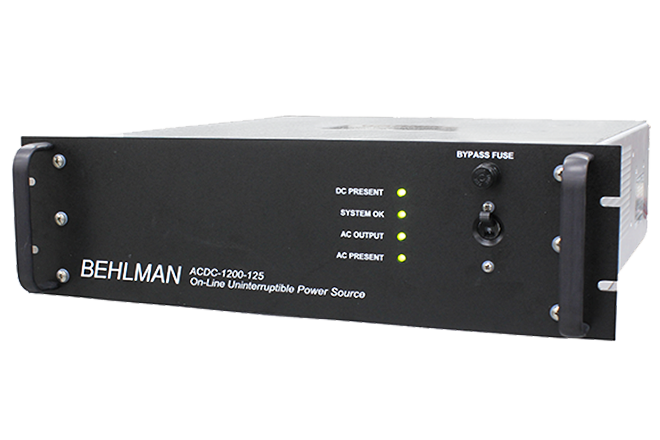 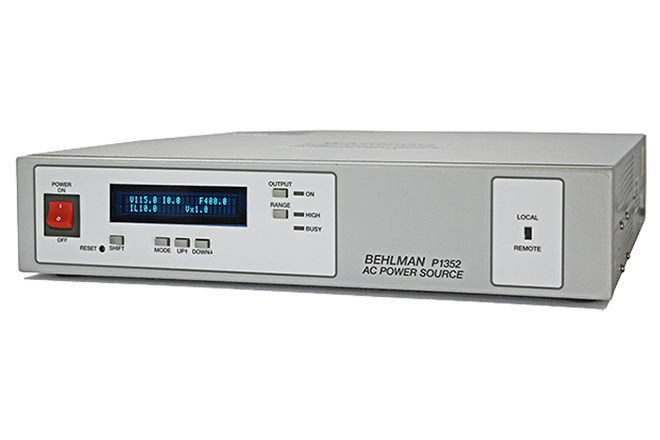 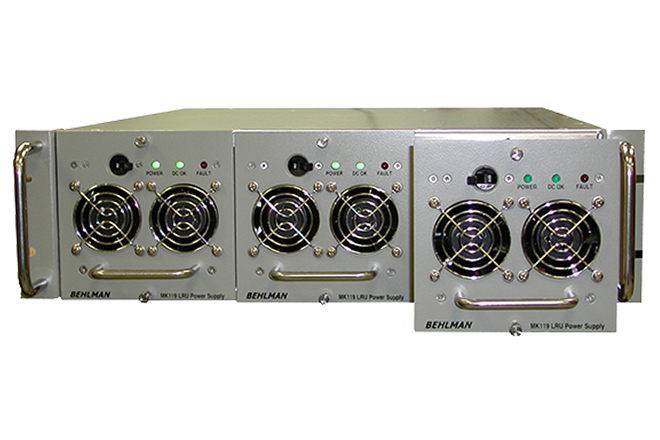 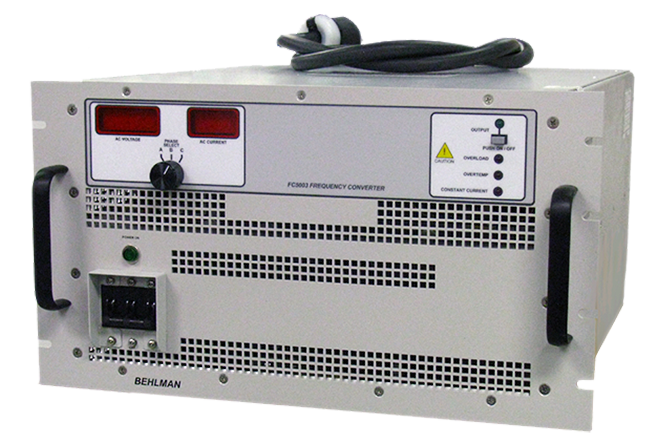 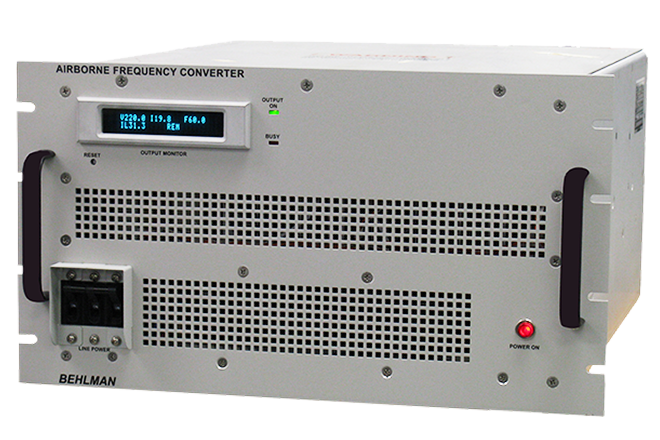 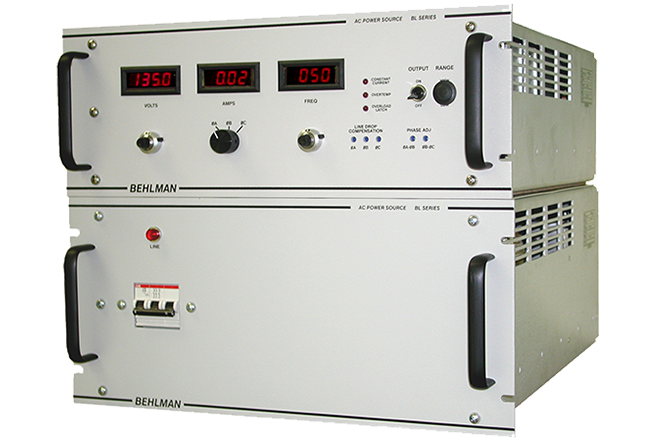 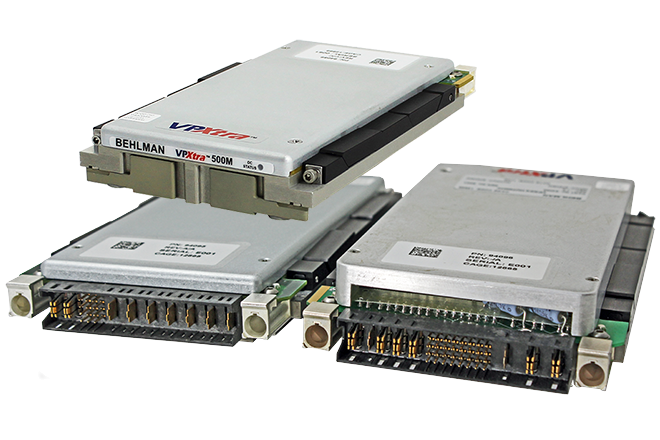 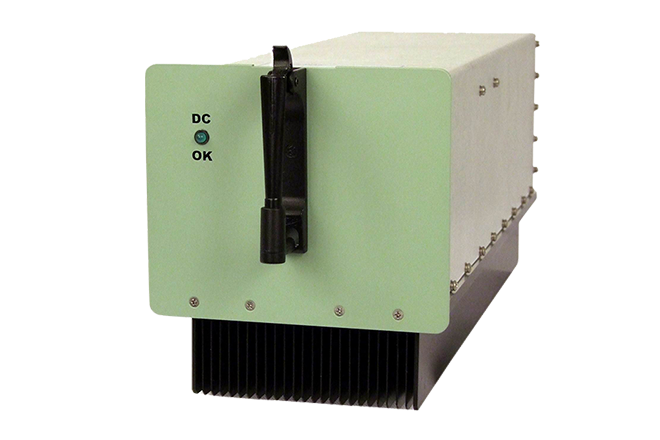 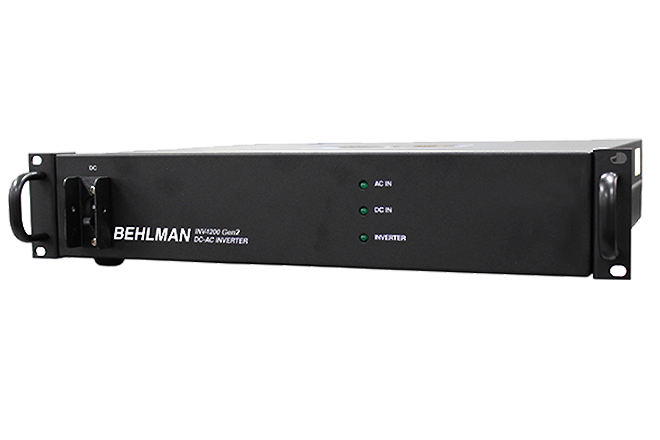 Behlman’s FC5003 is a ruggedly built, COTS frequency converter designed to convert 120/208 VAC, 3-phase, 60 Hz, ground power to 115/200 VAC, 3-phase, 400 Hz, aircraft power. 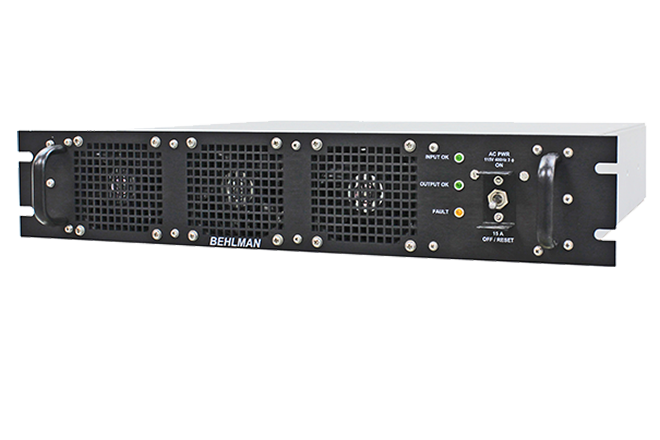 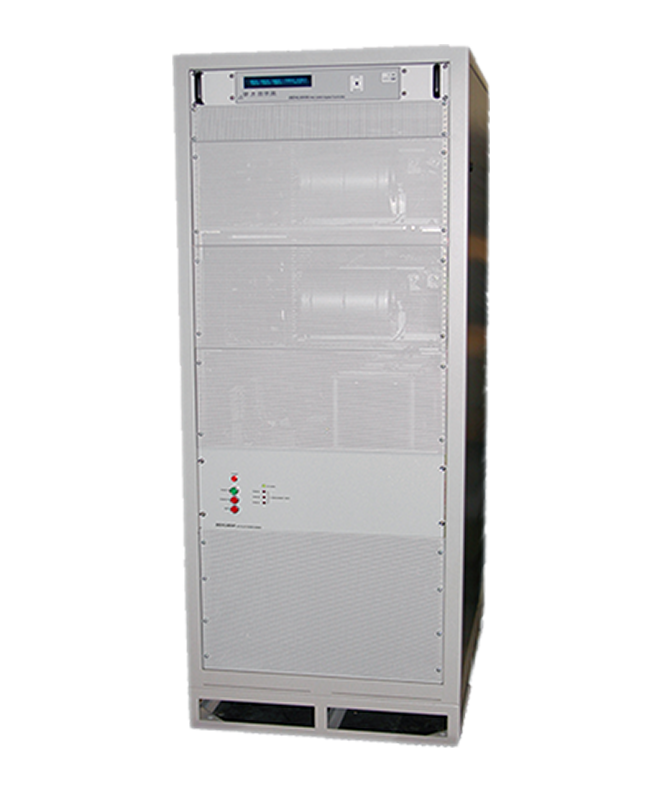 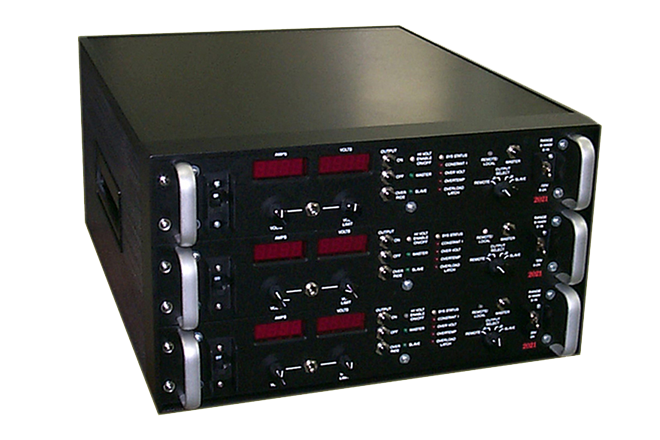 The FC5003 is in a rugged 6U (10.5”H) 19 inch rack mount chassis with an input line cord with plug and an output receptacle. 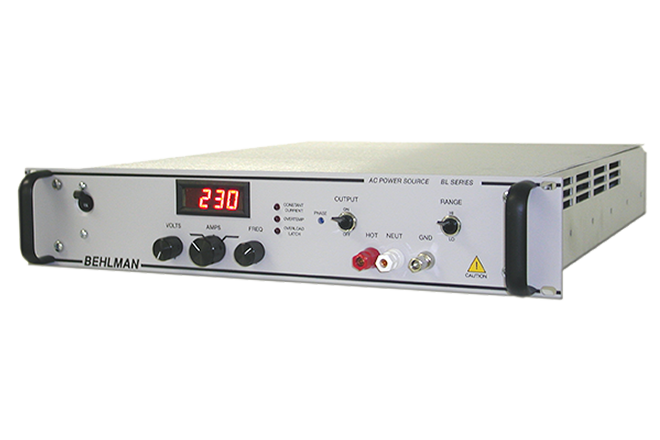 Current: 16 amps continuous, per/phase (17 amps for five minutes, per/phase). 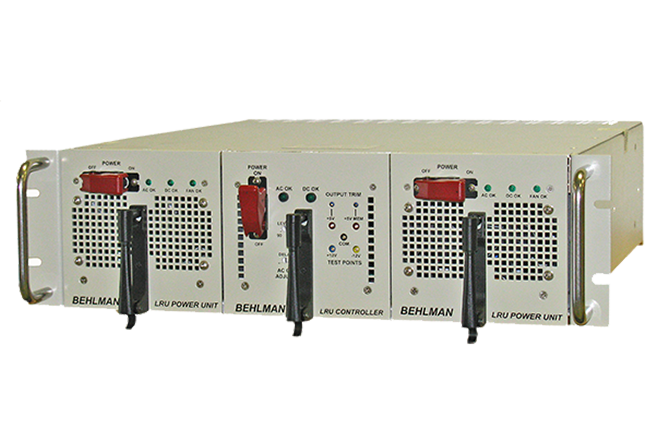 Power Factor: 100% of rated output into any power factor load. 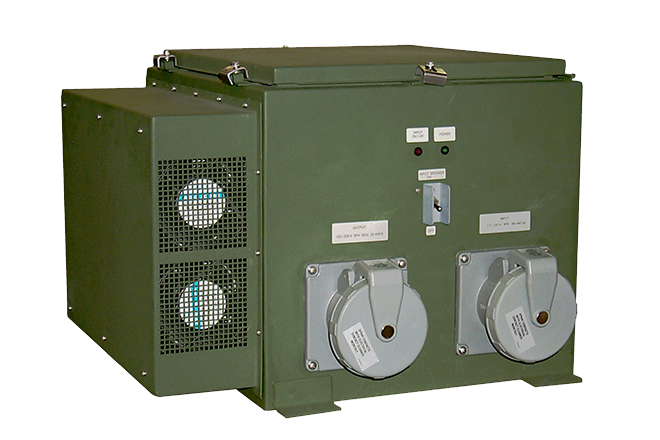 Short Circuit: Short Circuit electronically latches output open to protect load. 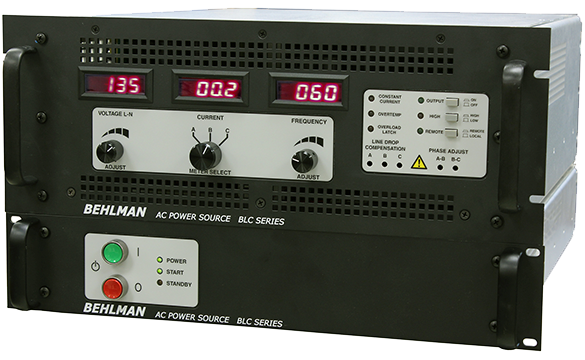 Power restored by cycling circuit breaker. 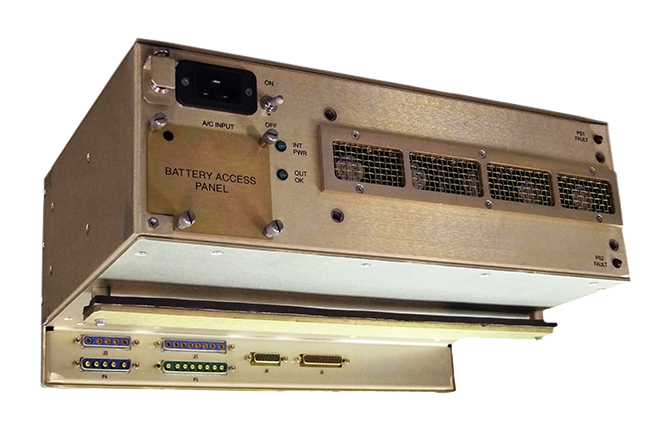 Thermal: Internal temperature sensor prevents heat damage. 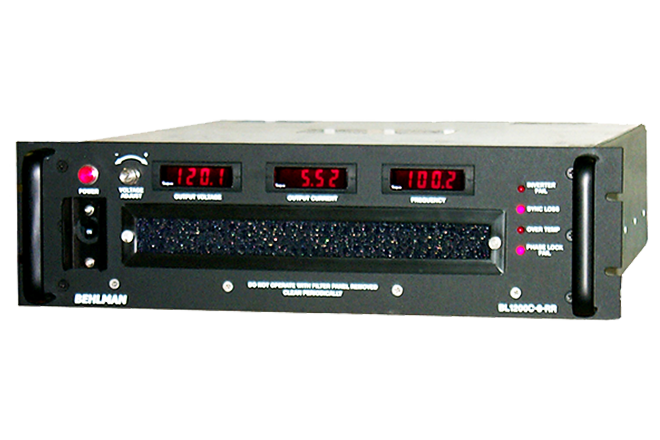 Humidity: 0 - 95% RH non-condensing.